Bringing you the authentic tastes of Korea in a posh setting is Kimchi Korean restaurant, a diner situated in Suntec City Convention Tower. This restaurant was highly raved about a few years back for their “handsome Korean boss who looked like a celebrity”, Haden Hee, who worked as a part-time model and actor. That aside, Kimchi Korean Restaurant is well-known for their reasonably priced Korean cuisine in a refined setting. With their kitchen being manned by 100% South Korean chefs, the food at Kimchi Korean Restaurant is as authentic as it can get. Here’s everything we loved about Kimchi Korean Restaurant, which includes free-flow side dishes with every meal. When it comes to barbecued meat, the Koreans do it best. Nothing beats a satisfying Korean barbecue meal—think an extensive selection of meats (pork, beef, chicken and even lamb) and seafood placed over a burning barbecue grill accompanied with banchan (side dishes) and the freshest vegetables to wrap your meats up. Sweet, savoury and spicy marinated meats is best enjoyed with an ice-cold bottle of Korean beer or soju in hand. Yes, happiness can be that simple. Here are 8 Best Korean Barbecue Restaurants In Singapore To Satisfy Your Inner Carnivore. Yoogane Singapore is one of the most popular chicken galbi restaurants in South Korea. 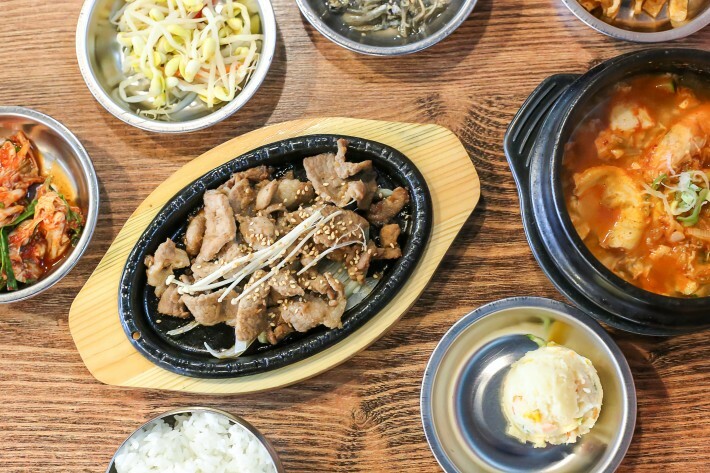 Having been established in Busan, South Korea nearly 3 decades ago with over 130 outlets, there is no doubt that this is a restaurant worth visiting for authentic Korean food that is both delicious and comforting. For the uninitiated, chicken galbi is a tasty and spicy pan-fried dish comprising marinated chicken, fresh assorted vegetables, and tteokbokki (Korean rice cake). Simple in preparation, this iconic cold-weather staple is a must-try for all—spring, summer, autumn, winter alike. 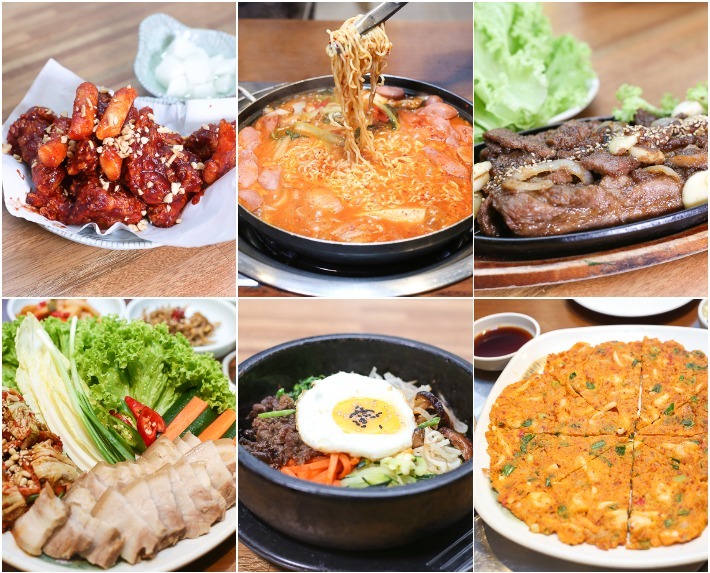 Aside from their highly acclaimed chicken galbi, Yoogane in Singapore also features a myriad of stellar dishes such as Army Stew, Dosirak, and newly launched Korean-style fried chicken that features three lip-smacking flavours. 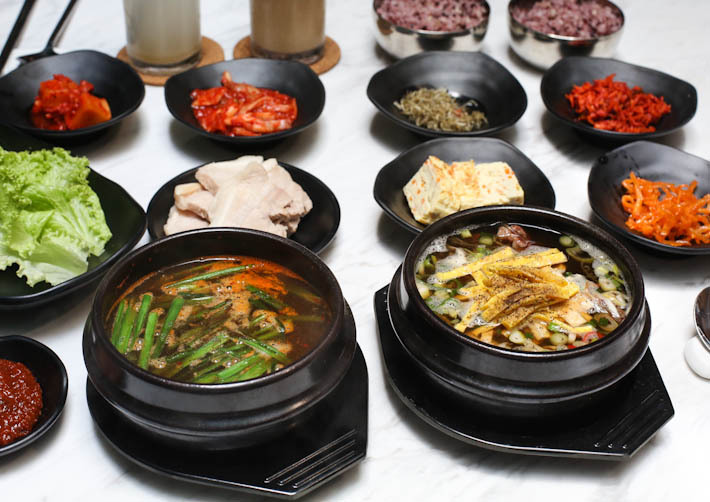 For the true taste of Korea without actually being there, head down to Yoogane Singapore today! And now through September 2017, quote ‘ladyironchef’ when placing your orders to enjoy a 15% discount off your entire bill. 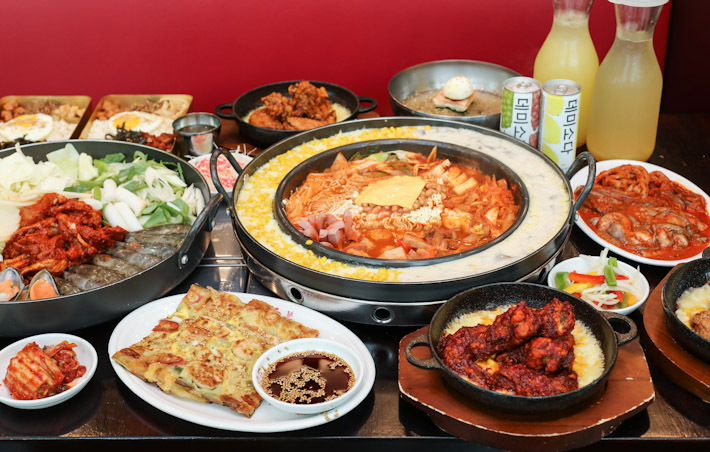 Delicious as the food may be, many Korean restaurants in Singapore are not exactly affordable for students or even working adults who are on a budget. 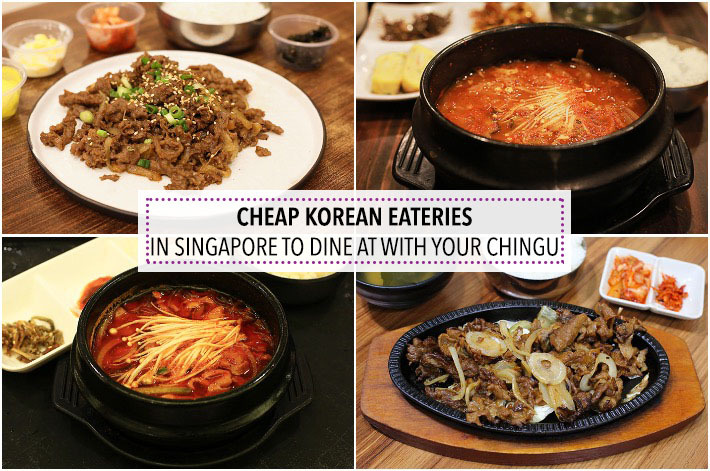 A meal at an established Korean restaurant can easily set us back at S$25 or more per person. We then set forth with a mission in search of affordable, no-frills Korean eateries in Singapore where we can satisfy our Korean food cravings without breaking the bank. In this guide, you will find a list of Korean eateries featuring mains that are mostly below S$10. Tucked away in Sunset Way’s enclave of cafes, eateries and restaurants is Hoho Korean Restaurant, an under-the-radar family eatery in Singapore that serves pretty decent Korean cuisine. Can we interest you with their value-for-money set lunch and the array of banchan? From the ever popular Jjajangmyeon to Cheese-Buldak (Fire Chicken with Cheese), honest yet tantalising Korean dishes await you at Hoho Korean Restaurant.